Families and relatives of young music artist Ragga Siai have called for tougher penalities to be imposed on fellow musicians who attacked him in Kokopo. A video captured and shared on social media showed Ragga Siai being bullied by the lead singer of the Wild Pack band after a Christmas gig at the Seaview Beach Resort in Kokopo. They say the group Wild Pack and several other musicians should be charged accordingly under the new telecommunication act. In November 2017, the Wild Pack band composed the theme song for the 1st Childrens Forum – We are your vision 2050. A month later in December, another video uploaded on Facebook showed the band leader in a bullying video allegedly captured by fellow musicians. Relatives of 17years ol Ragga Siai wants those implicated in the filming of the video to be given tougher penalties and their music ban from Papua New Guinean airwaves. 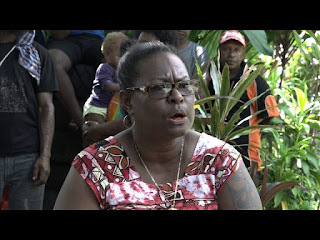 "I want them (Wild Pack) to be held accountable against the song their composed for and on behalf of the children of PNG," says Carol Yawing a close relative of Ragga Siai and Human Rights Advocate in Lae. Wild Pack band members have responded to NBC News saying only the band leader was at Kokopo for the Christmas gig. Those that were present during the incident were other musicians. The video posted on social media received widespread criticisms from members of the public. "We want them to be charged under the Childrens' Act and their songs to be banned from radio stations," says Ms Yawing. Senior musicians like Leonard Kania have condemned the action, saying musicans don’t fight, but help each other to grow. Many legendary PNG musicians were also disgruntled over the incident, with more people calling on the government to ban Wild Pack’s music.